Crisis management for small businesses is very different than for large, Fortune 500 organizations. In this episode of CBR’s B2UPodcast, Vanessa Vaughn from business resilience firm, Asfalis explains common red flags that every small business owner should recognize as a crisis. Joseph: Hi. I’m Joseph, and I’ll be hosting this episode of CBR’s B2UPodcast presented by CBRBiz.com, bringing business resources directly to you. A crisis can strike anywhere and at any time, and these unplanned events can have an overwhelming impact on businesses. Sure, Fortune 500 companies probably have plans in place to deal with a variety of crises, but what about small businesses? How do they protect themselves in times of disaster? We know it’s not fun to think about, but what if you sold a product that ended up injuring someone? Or, what if you run a cafe and the food prepared made a few customers sick? How would you react? Before a crisis occurs, it’s important to think how many of these situations could impact your employees, customers, and your business? Luckily, with the right planning, there are steps that you can take to minimize the potential impact. In today’s podcast, we’re here to help you do just that. And now, I’d like to welcome today’s special guest, Vanessa Vaughn, President, and owner of business resilience firm, Asfalis. Vanessa, thanks for joining us today. To get started, can you tell our guests a little bit about yourself and how you came to start Asfalis? Vanessa: Yes. Ironically, I was in a tornado in 2009 where it totaled my vehicle while I was inside of it. The wind speeds were exceeding 130 miles per hour. So that’s really where I developed the passion for the company. So we originally developed long-term housing in terrorism, mitigation plans for county governments, ports of entry, and airports like Los Angeles Airport. What made us successful was implementing business continuity and crisis management programs for all levels of management. It was only natural to start helping companies to create a culture of resilience to help them absorb the impact, and bounce back in a crisis. The result was serving our customers in proactive crisis management. Joseph: Wow. So, personal crisis turns into helping others with their crisis. Joseph: Very interesting. So, we, kind of, talked about, well, we just mentioned the fact that you’re in a tornado and that was a crisis on its own. I could only imagine what I would do in a tornado. But, what is crisis management on a day to day basis? Because if you ask me, when I run out of milk, particularly, almond milk, it’s a crisis. But I have a feeling the tornado’s a little bit bigger of a deal. And then also, I’m assuming businesses have bigger crisis than running out of almond milk. Vanessa: So I’ll start by clarifying the term business resilience because that’s the type of company that we are. So, business resilience is simply your ability to absorb the impact and bounce back. And that impact can be from an active shooter, a data breach, supply changes, disruption, etc. So when it comes to crisis management, we focus on three things. How do you maintain your reputation, profitability, and your ability to operate? Joseph: So, as a crisis management professional, what do you all do on a day to day basis other than hanging out at a podcast? Vanessa: So, as a proactive crisis management company, we help people in three ways, number one, from a preparedness perspective. So we help you identify your risks, assist in the development of creating a culture of resilience for your company. And we also help train and practice so that when something happens, you actually know how to execute in a crisis. During the crisis, we help you manage through uncertainty and chaos. And afterward, we help your team to get back to the new normal. Joseph: Cool. So, is the crisis management program required for all businesses or all organizations? Vanessa: Well, do you want your organization to thrive in the next 10, 20 years? Joseph: That’s the goal. The podcast will be here for the next 10 to 20 years. Vanessa: Well then, it’s required. Vanessa: So, I worked for a company in Savannah, in a sugar refinery across the street exploded due to sugar dust. And the cost of sugar actually went up as a result of that crisis. And what the CEO of that particular company said was, “I want to implement a business continuity in crisis management program.” He had been in business for over 50 years and never thought about it. But he wanted to be here for the next 10 to 20 years. So banks, oil and gas companies, healthcare, they typically have requirements where they have to actually do that. But in general, it’s just good business practice. Joseph: Okay. So, with developing a crisis management program, what does a successful program look like? You spoke on the aspect of making sure you practice, and you know where it is, and always be ready to use it. But what does a successful crisis management program look like? Vanessa: Well, successful companies spend the time and the resources planning so that they minimize the amount of time they’re actually responding and recovering from a crisis. And you can really see the companies that don’t plan simply by how long it takes for them to respond, as well as how long it’s taking them to recover. What I think is interesting is it’s always going to be different for whatever company that you’re with. Joseph: Make sense. So, we all watch the news and things like that. Can you give any examples of recent crisis management situations that we may have noticed in the news or anything like that? Joseph: Wow, those are heavy-hitters for right now. Vanessa: Heavy-hitters. So, those have had a large part to do with cybersecurity, as well as PR, right? And, you know, I think back to the Fukushima earthquake that happened in 2012, where it was an earthquake that ended up causing a tsunami, and then a nuclear reactor was affected, right? So, often times, we don’t think about the whole catastrophe that can happen or the crises within the crisis. Joseph: So how can we pare that down for our smaller business owners? Vanessa: So what’s unique about small businesses is what affects big business not typically affect small business. It’s gonna happen, or it’s gonna mean something different. So I always like to look at a small business crisis as the elephants in the room. It can be an unclear strategy; it can be a lack of business acumen within the owner. It could be a lack of processes or outdated processes. And what I would see about elephants in the room are sometimes, the elephants, the things that you don’t see that other people can probably see can either create a crisis, or they can magnify your crisis. So small businesses should be more cognizant of those things. They may not be focused on an active shooter. They should probably have some awareness when it comes to cybersecurity and data breaches, but they also need to understand that they don’t have the resources from people, as well as money to be able to manage a crisis like a big business does. Joseph: Make sense. So, it’s obvious that all size business should have some, sort of, crisis management program, whether it be robust or small, or at least written down so that there’s an ability for them to continue business if something bad happens. How do you determine what would work best for a company? Vanessa: Well, every company should know their risks, every company should have a plan, every company should have a team, and every company should be practicing. However, every company is different. What works for Walgreens won’t work for CVS. So you have to think about your culture and where you wanna be. Again, it goes back to how long do you wanna be in business? Vanessa: Who started a business to actually fail? Joseph: Not a lot of people. So, in some of the incidences that you’ve mentioned in regards to a crisis, they’ve seemed to have a very public aspect. So, what’s the value of private and public partnership during a crisis? Vanessa: Well, how important are relationships in business? Joseph: They’re probably the most important thing in business next to money. Vanessa: So public-private partnerships are critical. So the first time you meet your fire chief or police chief shouldn’t be in the middle of the crisis. They are the ones that are going to actually respond. And you should have that relationship before they arrive. So make sure that they’re familiar with your business. Invite them over, have coffee, have lunch with them at your facility because when something happens, and they’re responding in uncertainty and chaos, they need to be familiar with your environment. And also, think about having electronic maps readily available for them. So if I think about co-working spaces in Charlotte, how many of them have electronic maps that police officers and first responders can familiarize themselves with? Or if you have a facility that’s swipe-access only, how are they gonna get in the door once they get there? So think through some of those things and make it easier for them to be able to help you in times of crisis. Joseph: So that sounds like you still got to make sure you plan for the worst, but expect the best, right? Vanessa: The essential theme is plan, plan, plan. Joseph: Plan is the key to success. Vanessa: That’s why we are a proactive team. Joseph: That makes a lot of sense. Now, anything to add before we wrap up? Vanessa: Warren Buffett once said, “It takes 50 years to build a reputation and five minutes to ruin it.” If you thought about that, you would do things differently. Joseph: Oh, thanks. That’s definitely something left to ponder with. Thanks for joining us today. I already feel way more prepared. I’m not gonna run out of almond milk next time. So, stay tuned for our next episode where we’ll continue the conversation with Vanessa and talk about how to avoid and prepare for potential disasters. Listeners, if you have any questions after this episode, tweet us @CBRbiz. This has been CBR’s B2UPodcast brought to you by CBRBiz.com. Until next time, we mean business. 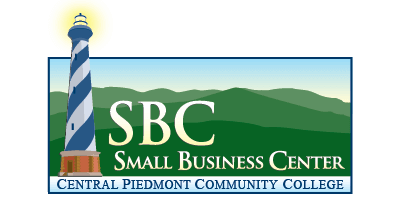 Continue reading "Seminar in Spanish About Energy Conservation Programs and Economic Incentives for Businesses in North Carolina"